Claude Hudnall Elementary School first-grader Anthony Hill Jr. could not believe how the 3-foot boa constrictor encircling his neck felt against his skin. 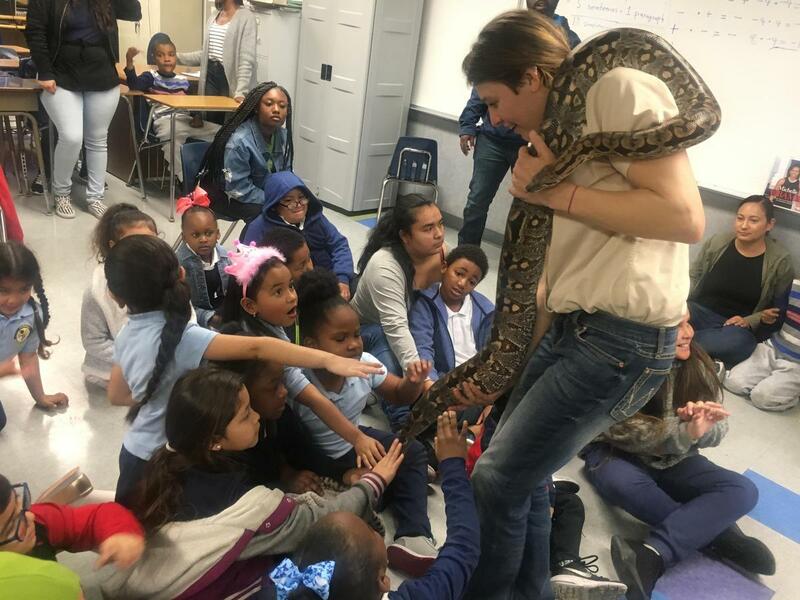 Hill received a hands-on lesson about cold-blooded animals during the school’s Science Explosion which exposed students to science through exciting activities. A 30-foot mountain gave children the chance to test their climbing skills while other students learned about videography and participated in egg drop competitions. Former Hudnall students provided a musical performance, playing electric guitars and drums to complement a memorable day of learning.